I have a confession; I’m jealous of my neighbors. We’ve got a great community in Alexandria, Virginia. We love it here. 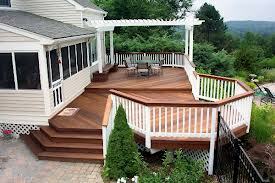 And don’t get me wrong, my own deck and patio are wonderful. It’s just that, when the weather turns wet or windy, or the sun boils paint, they have beautiful, comfortable screened porches for refuge from the elements, and I am forced to retreat back inside. You know, people say once you fall in love with a screened porch, you’re hooked for life. Screened porch memories are some of the strongest, most precious we hold. We step into a screened porch and we’re drawn back into the laughter, the comfort, the fun, the food. Building a dream screened porch in Alexandria only makes sense. 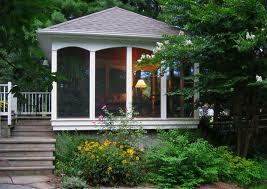 It continues the satisfying tradition of the classic family screened porch. What a great investment. No matter the size or design of your screened porch, selecting a licensed, qualified contractor for your project will ensure quality workmanship, legal compliance, and cost effectiveness. Your screened porch contractor will have the practical experience, technical knowledge, and resources needed to expertly guide your project. From screened porch materials such as low-maintenance woods, floors, and screens, to electrical and lighting decisions, you want a contractor who has built hundreds of screened porches. Modern technology has revolutionized the traditional screened porch, with materials, colors, and textures that merge to create functional, interesting, and beautiful screened porches for any taste or style. Screens come in plastic, fiberglass, and metal; flooring ranges from wood, to stone, to tile and stamped concrete. 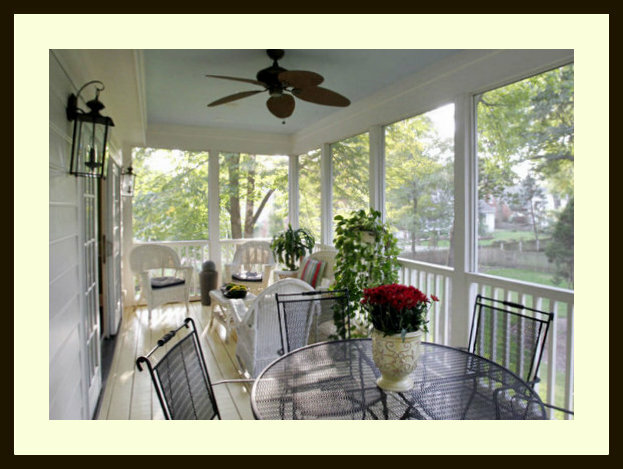 With high performance materials and advanced building techniques many people are building their dream screened porches in Alexandria, VA. Take a casual road tour and a more complete picture of screened porch popularity will emerge. Ceiling fans are a must. Whatever your dream for a screened porch at your Alexandria home , find a reputable contractor to do the work, and then sit back and enjoy all those memorable screened porch moments. This entry was posted on Monday, September 30th, 2013 at 8:50 pm	and is filed under Screen Porches. You can follow any responses to this entry through the RSS 2.0 feed. Both comments and pings are currently closed.